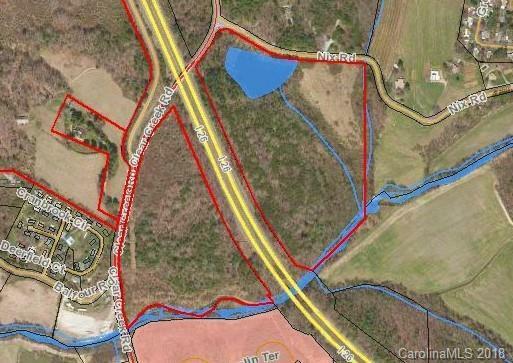 34 +/- acres of C-3 Highway Business zoned property. This is the Eastern most portion of the PIN along the interstate. Small pond on property. Frontage on Nix Road, Clear Creek Road and the Interstate. Approximately 24 acres of the PIN is on the Western side of the interstate, also available For Sale. Zoning allows for development of 8.5 units per acre. Suitable for Commercial, Multi-family Residential, Apartments, Industrial, Large Scale Retail. Some flood plan.